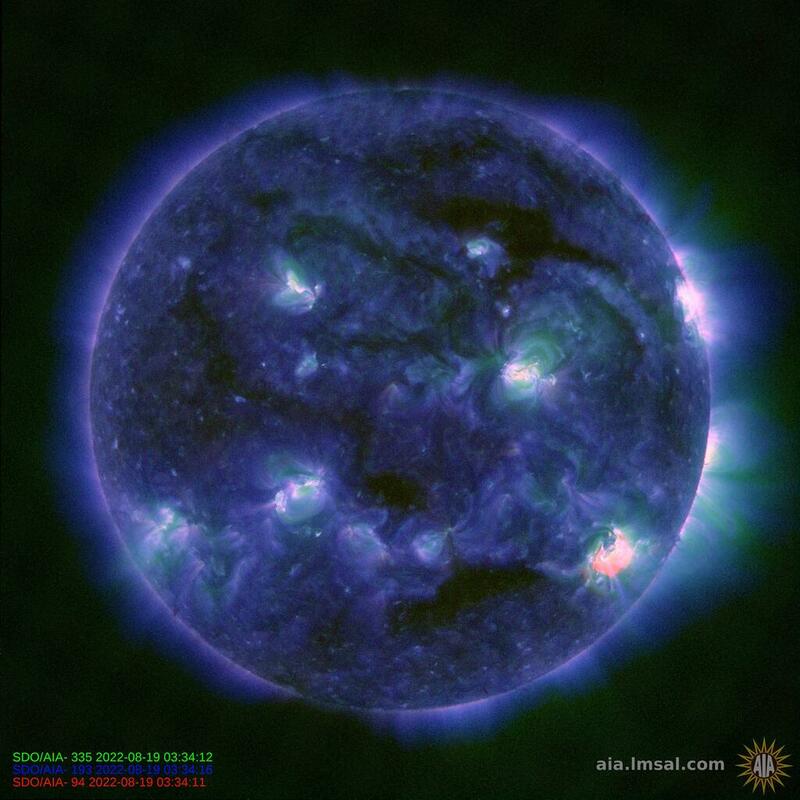 There are some pretty amazing images of the most recent solar storm, storm being the appropriate term for an event that can damage satellites, disrupt telecommunications and power grids, as well as cause the rerouting of aircraft. 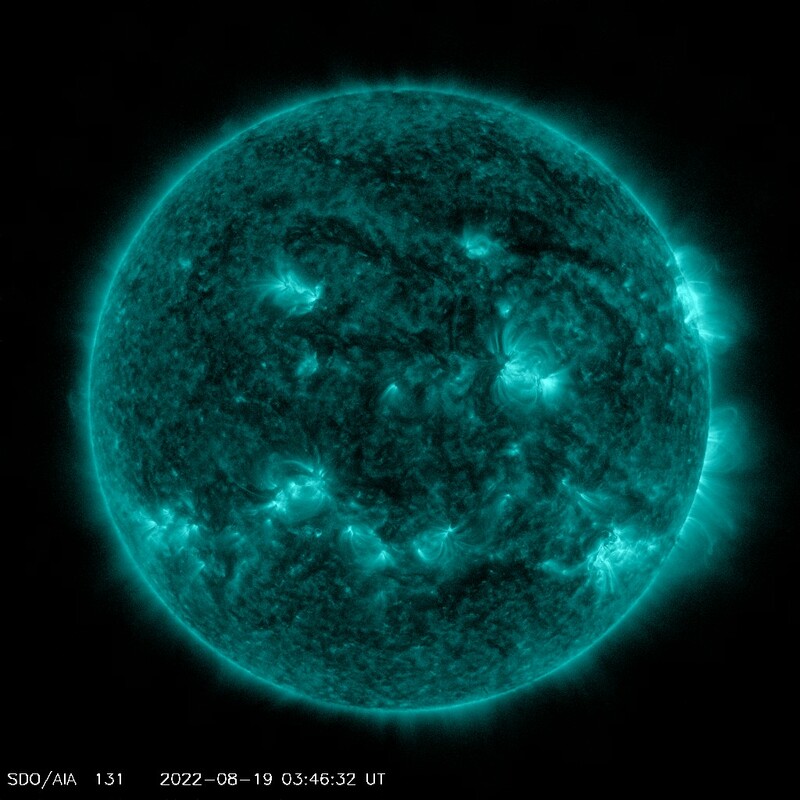 Appropriately separate from the purvey of The Weather Channel, NASA has a Solar Dynamics Observatory which captures images of the Sun – including is flares, storms, magnetic activity etc., usually at extreme wavelengths that help isolate views of particular activities. Solar storms, which are a footnote in the news this week, are billion-ton clouds of solar plasma, ejected from the solar atmosphere in a coronal mass ejection (billion-ton clouds qualify as mass to me), as the result of a larger eruption than is common for solar flares. Other than an interest on how flares and storms might affect “climate change,” I haven’t really studied our most important heat source, and I wasn’t aware of the term solar maximum. Between every 9 to 14 years, the magnetic field lines of the Sun are the most distorted due to the magnetic field on the solar equator rotating slightly faster than at the poles. 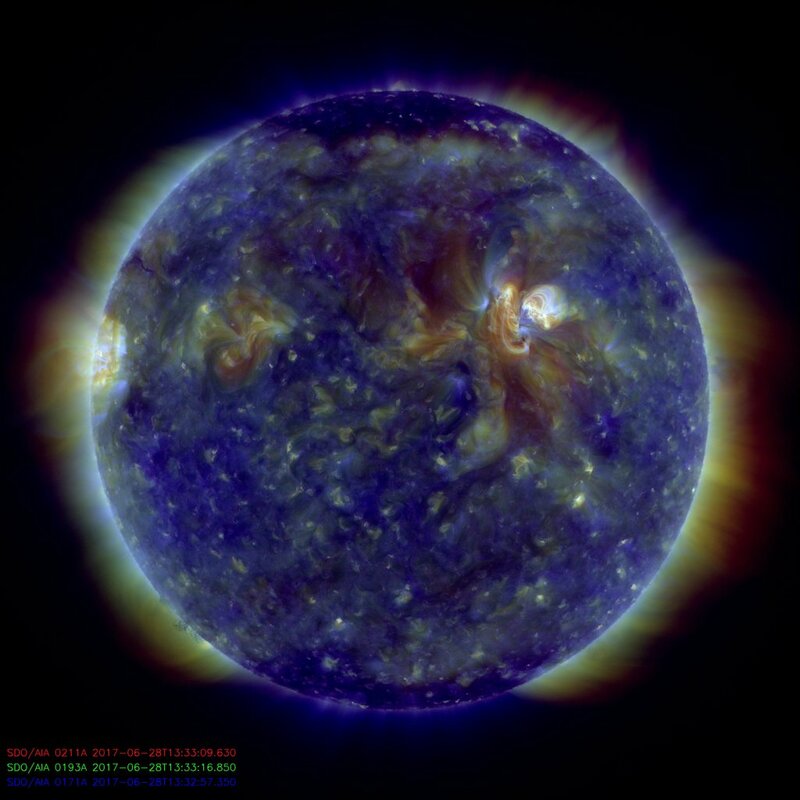 So, during the next year, more heightened solar activity is likely. 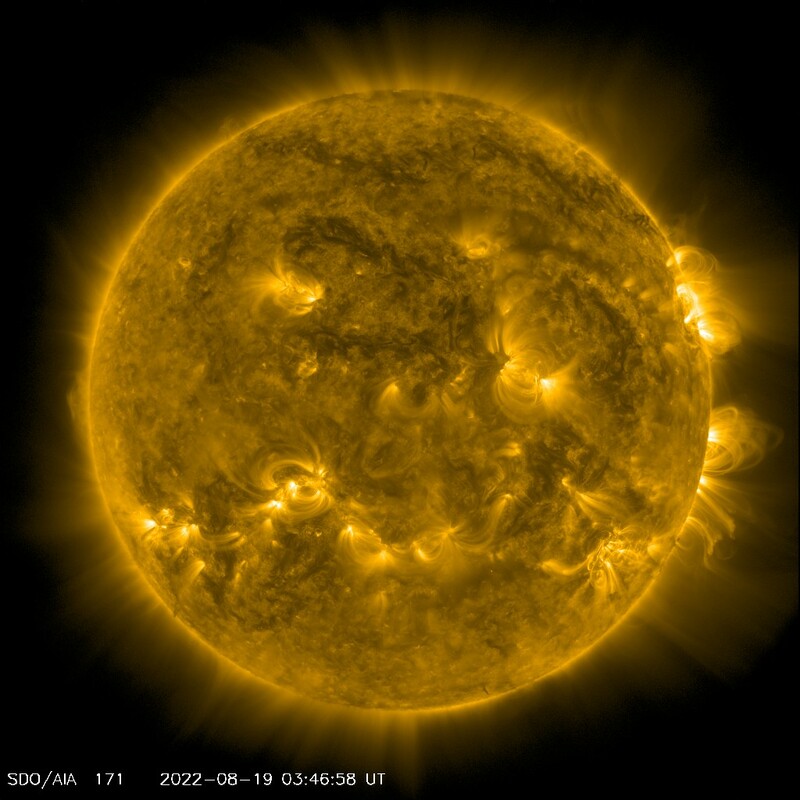 I would imagine that if I were a scientist, I would find it very interesting and ultimately satisfying to study the Sun and examine its behavior and ultimate affect on Earth. As I’m not, though, I’ll remind myself to take another peek at the Sun through the solar telescope at each year’s Dragon*Con, and try to understand what I’m seeing a little better. It’s fairly overwhelming to comprehend the constitution of a star. Whatever we burn here, we light it, the fuel is consumed fairly quickly, and it is reduced to ash. I can comprehend that. 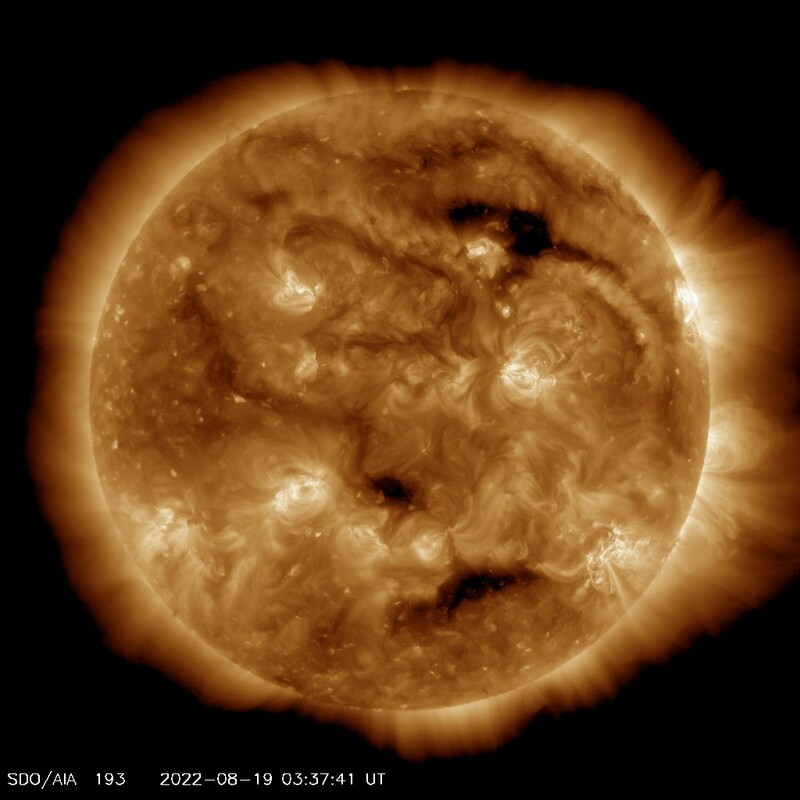 The Sun… just keeps burning and burning… until someday it won’t in a more abrupt and final statement on climate change that might be debated by Earthly residents still lingering at that time. In the meantime, I’ll thank the heavens that Earth is pretty safely snuggled in its own protective atmosphere that deflects or absorbs the worst that the sun throws at us, in this case, at 3 million miles an hour. 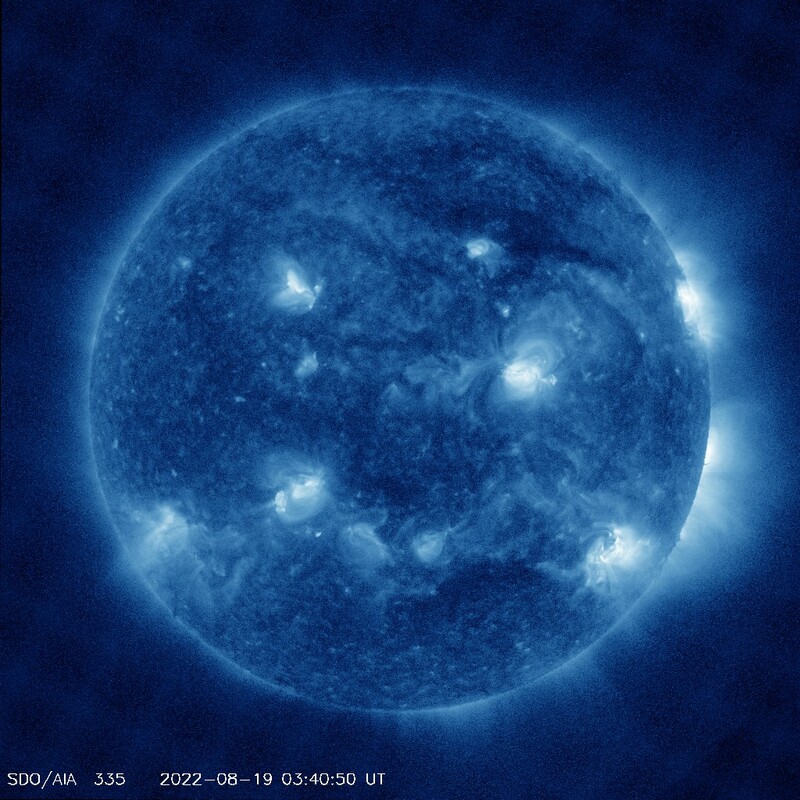 This channel highlights the outer atmosphere of the Sun (corona) as well as the hot flare plasma. The dark spots are where very little radiation is emitted but at the same time are the main source of solar wind particles. Characteristic temperature: 2.25 million F.
This channel shows coronoal loops where plasma moves along the magnetic field lines. The bright spots are where the magnetic field near the surface is strongest. An extreme ultraviolet channel designed to study solar flares, measuring extremely hot temperatures (18 million F) as well as cool plasmas (720,000 F). 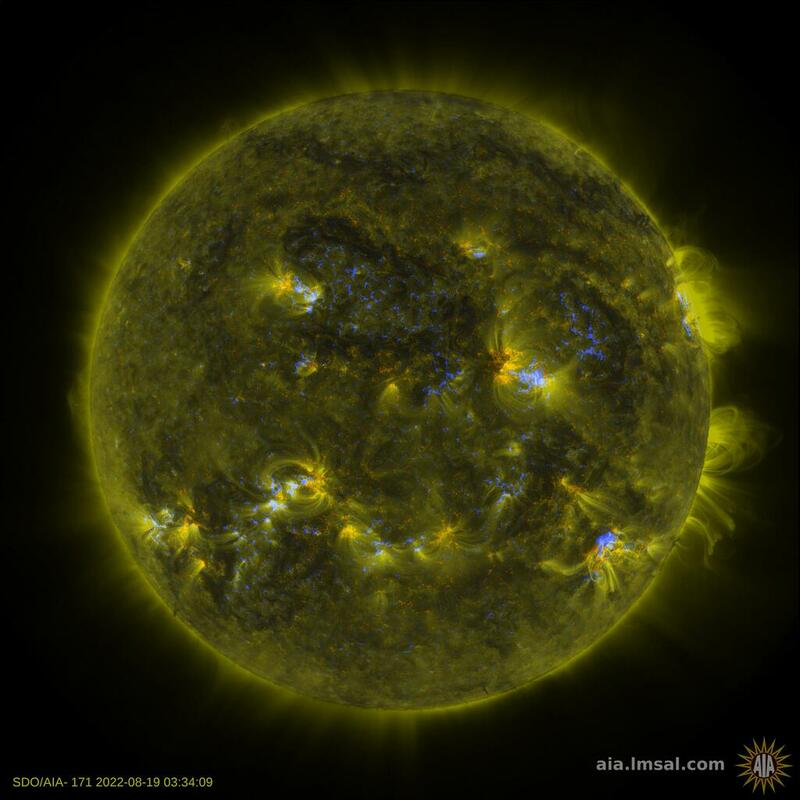 This and the next two pictures feature a combination of three images taken at different wavelengths, highlighting different parts of the corona. This suggests a worrying instability to me. Lights Over Lapland Photo Expedition on 1-24-2012.